Every winter, Gulmarg’s snowy slopes transform into a world-class skiing destination boasting the highest ski slopes in Asia. In spring the frozen landscape thaws in preparation for the summer splendor of daisies, forget-me-nots, buttercups, lupins and wild flowers dotting the grassy knolls. Local shepherds called it Gaurimarg, the enchanted meadow of Gauri or goddess Parvati, Lord Shiva’s consort. In 16th century Sultan Yousuf Shah of the Chak Dynasty who frequented the heavenly hill resort with his queen Habba Khatoon fondly renamed it Gulmarg (Meadow of Flowers). Mughal emperor Jehangir collected 21 varieties of wild flowers from here for his gardens. A temple dedicated to the divine pair Shiva-Parvati was built in 1915 by Mohini Bai Sishodia, wife of Maharaja Hari Singh of Kashmir. The drive from Srinagar was short as we climbed from Tangmarg through alpine forests. Located in a cup-shaped valley in the Pir Panjal range of the Western Himalayas, Gulmarg was perched at 8,694 ft. The undulating meadow loosely ringed by hotels, shrines and colonial edifices formed the heart of Gulmarg. Pink and blue flowers rebelled against the blanket of green as horses grazed unfettered in the meadows. Oddly, the credit of ‘discovering’ Gulmarg goes to a Croat architect! Around the mid 1800’s, Michael Adam Nedou sailed to Lahore from the port city of Ragusa (Dubrovnik) to construct a palace for a maharaja in Gujarat. While traveling from Murree (in present-day Pakistan) to Kashmir in 1880, he stumbled upon Gulmarg. Nedou introduced it as a holiday destination to British aristocrats, civil servants and royalty who would spend the summer fishing, hunting and hiking here. After building his first hotel in Lahore, Michael set up Nedou’s Hotel in Gulmarg in 1888. However, we were headed not to the oldest but the best address in town – The Khyber. The five star resort with stunning wooden architecture has been voted India’s Favourite Boutique Hotel for the fifth year running at the 2017 Condé Nast Traveller India’s Readers’ Travel Awards! A whiff of pine welcomed us at the foyer dominated by large Moroccan lamps, plush seating and painted papier-mâché wall panels. Delicious steaming kahwa (Kashmiri tea) awaited us at Chaikash, the tea lounge, before we were ushered to our room. The balcony opened to a view of the snowy peaks of Apharwat and gabled cottages with green roofs strung with chinar leaf designs. At Cloves restaurant, we savoured a Kashmiri Traami (platter) – a hearty fixed meal of rogan josh (mutton curry), tsaman kalia (paneer in yellow gravy), rista (meat balls in red gravy), tabakmaaz (fried lamb ribs), seekh kebab and haak (greens), served over rice. The radial road encircles Gulmarg’s central green, part of which forms the world’s highest golf course at 8,690 ft. Gulmarg Golf Club was conceived as a 6-hole course in 1890-91 by Colonel Neville Chamberlain, the man who invented snooker in Ooty! Three golf courses were established in Gulmarg including one exclusively for women. Golfing was so hectic that all three courses had to be used simultaneously – Upper course, Lower course and Rabbit’s course. Only the first of these survives. Abutting the course was the 1890s Anglican St Mary’s Church surrounded by clumps of wild flowers. Made of austere grey stone, the green-roofed Victorian edifice had beautiful stained glass windows. On the other end atop a grassy bank, Shree Mohineshwar Shivalaya or Maharani temple’s red roof could be spotted from afar. Ironically and in a disarming display of communal harmony, both the Christian and Hindu shrines had Muslim keepers! A signboard proudly announced ‘Gondola, masterpiece of French technology’. Built by the French company Pomagalski, the Gulmarg Gondola is indeed an engineering marvel. One of the highest in the world, the two-stage ropeway ferries 600 people an hour from Gulmarg to Mary’s Shoulder (3,979 m) on Apharwat Peak (13,800 ft) via Kongdoori. After stupendous views of the Nanga Parbat and Harmukh mountains, we returned to Khyber to relax with almond detoxifying massages at L’Occitane spa and apple-flavoured sheeshas at the Hookah Lounge. Gulmarg’s brush with Bollywood continues as Haider and Yeh Jawani Hai Deewani too were filmed here. We padded across to the upholstered lounge lined with old lanterns, colonial era paintings, hunting trophies and funny ‘Rules of Golf’ illustrations. The brandy toddy and chili chicken seemed perfect for the chilly weather. We drove 12km to Baba Reshi, the venerable shrine of Baba Payamuddin, a courtier of 15th century Kashmir King Zain-ul-Abedin. Renouncing his worldly possessions to serve the people, the Sufi saint lived and meditated here. A three-storey monument with lofty minarets was built in 1480 in Mughal and Persian style with the devout flocking to the Noor Khwan (holy grave) for blessings. Gulmarg has no dearth of adventures. Enjoy mule rides to the meadows of Khilanmarg, bite into freshly plucked Kashmiri apples inside an orchard in Tangmarg, go on an excursion to the Pandav Pathri ruins at eco village Drung or try fishing in wild mountain streams. At remote Buta Pathri or Nagin Valley near the international border we were warmly welcomed into hutments of nomadic Gujjars and Bakkarwals. 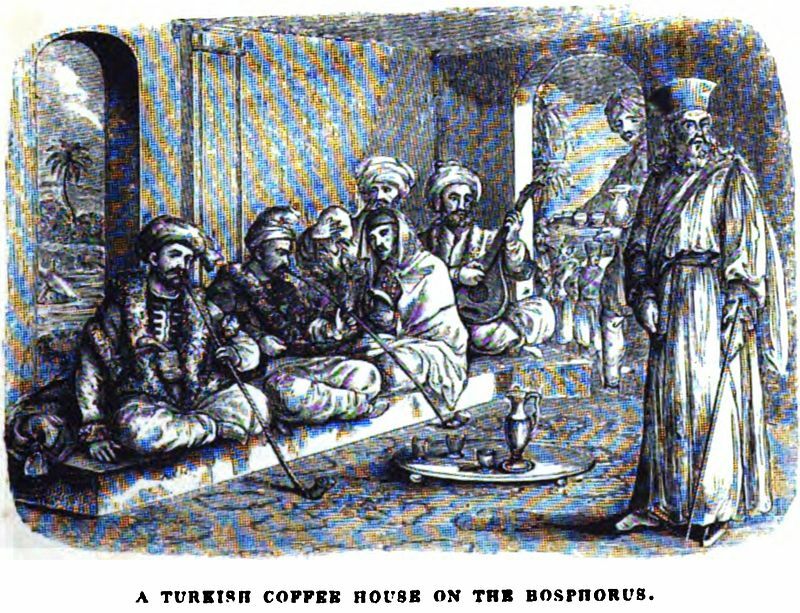 Men with flowing beards smoked hookahs sending up smoke trails that diffused into the mist. Fly to Srinagar from Delhi (1 hr 20 min) or Mumbai (2 hr 45 min) and drive 56 km to Gulmarg (90 min). Authors: Anurag Mallick & Priya Ganapathy. This article appeared in HT City, Mumbai on 4 Jun 2018. As I set off from Rokeby Manor along the old bridle trail called the ‘Chukkar’ encircling the three summits of Landour ridge, the pre-dawn mountain air was crisp and invigorating. The pretty forested hillside was dotted with gabled bungalows with names like Kenilworth, Ivanhoe, Waverly and Woodstock, echoing themes from Sir Walter Scott’s novels. Some of the colonial era cottages mirrored their Scottish and Irish heritage – Scottsburn, Wolfsburn, Redburn, Shamrock Cottage, Tipperary, Killarney. It was hard to understand why the British-era cantonment of Landour, 6km uphill from Mussoorie, was named after Llanddowror, a village thousands of miles away in southwest Wales! The story goes back to early 19th century, when the British halted the Gurkha conquest of Kumaon–Garhwal and moved from the plains of Dehradun to create a military sanatorium in the hills. In 1825, Captain Young, the ‘discoverer’ of Mussoorie and commandant of the first Gurkha battalion raised after the Gurkha War, built the first permanent home in Landour. His house, Mullingar, was named after his county town in Ireland. By early 20th century, Mullingar became a hotel, and during World War II, was leased to the army to accommodate the spillover of wounded soldiers from the sanatorium. I followed the path to Lal Tibba or Depot Hill, referring to the convalescent ‘depot’ that stretched around Landour’s highest point Childer’s Lodge. It was the best spot in town to catch a glimpse of a 200km long stretch of the Himalayas. And I was just in time for the spectacle. As dawn broke, the first rays of the sun fell on Himalayan peaks like Swargarohini, Bandarpunch, Chaukhamba and Nanda Devi, turning them pink, red and then a dazzling golden yellow. The telescope on top of the double-storey viewing platform offered a closer look at the ranges. Though the Chukkar became motorable in the late 1950s, a leisurely stroll is the best way of enjoying Landour’s few sights strewn along the circular route – Landour cemetery, Kellogg’s Memorial Church and St. Paul’s Church. I reached Char Dukan, a cluster of Indian-run establishments since colonial times at the site of the old parade ground. Being a Convalescent Depot, correspondence was critical for those recuperating here so Capt Young started the Landour Cantonment Post Office in 1827, which still stood at the chowk. Locals and tourists flock to Anil’s Café for his chai, parathas, bun-omelette and Maggi. Sachin Tendulkar, who came on a holiday to Mussoorie, made a stopover here and his Twitter endorsement graces the wall. After a large glass of the famous Ginger Lemon Honey Tea, I walked back to Rokeby in time for a hearty breakfast of eggs, bacon and delicious Mustard Chicken. If you turn back the pages of history, Landour’s literary affair is not new. The British cemetery on Camel Back Road is the resting place of John Lang, dubbed as the ‘first Australian novelist’, who lived in Landour between 1850–60s. His grave dating back to 1864 was rediscovered by Ruskin Bond. This quiet nook in the Himalayas is home to leading writers such as Ruskin Bond, Bill Aitken, Allan Sealy, travel writers Hugh and Colleen Gantzer, and film personalities Tom Alter, Victor Banerjee and Vishal Bhardwaj. Away from the clamour of Mussoorie, Rokeby is a welcome patch of serenity. The lovingly renovated rooms with stone walls, quaint arches and parquet floors open out to a Tea Garden overlooking the Doon valley. After soaking in the scenery over a steaming cuppa, it was time to set out again. Strewn across the hillside are a cluster of 19th century colonial cottages called Rokeby Residences, each offering stand-alone experiences. Staying at Rokeby gave me a chance to pop by for a look. The three-bedroom Bothwell Bank was a stone-clad log cabin with pine wood décor, fireplaces, a well-stocked kitchen, barbecue area and an outdoor jacuzzi! Shamrock Cottage, built in the 1800’s, came with a spacious garden. The two-storied Tabor Lodge had a private deck with a tree house sit out lined with herbs in outsized cups. Pine Tree Lodge was inspired by Scandinavian architecture, with colourful patchwork stools, vintage lamps and traditional Finnish artwork. Each residence was unique! The Stubli Café serves Swiss and European cuisine while Ale House was styled like an ‘Olde English Pub’. After a nice relaxing massage at Rokeby’s Little Salon & Spa Shed, I was ready to take on Landour again! It is a great base for nature walks to Jabarkhet nature reserve, Kulti village or a more rigorous trek to the nearby hills of Nag Tibba. I was happy to restrict myself to less strenuous perambulations like Sisters Bazaar. Nursing sisters had their barracks near the market and visited it often, hence the name. Since Landour became home to American missionaries as early as the 1830s, it was the first place in India where the peanut butter was made commercially! Emily’s sister establishment Clocktower Café in Landour Bazaar, stands at the exact spot of an old clock tower. With funky decor and music posters, it is a great place for pizzas, pastas, burgers and Chinese fare. Back in the day, while Landour largely remained a British preserve, Indians were restricted to Mussoorie. From the Nawabs of Oudh to the princely states of Katesar, Kuchesar, Rajpipla, Alwar, Jind and Baroda, the who’s who of Indian royalty built opulent summer homes and made Mussoorie their retreat. Hotel Padmini Nivas, set up by a British colonel in the 1840s, became home to a queen from Gujarat. The Nabha Palace is run as a hotel by The Claridges. The Maharaja of Kapurthala’s chateau occupies a lofty perch above The Savoy. However, one of the oldest buildings in Mussoorie is Kasmanda Palace, built above The Mall in 1836, now a WelcomHeritage hotel. Since colonial times, the main hub of activity has been the 1.5km long pedestrian avenue The Mall. Once out of bound for natives, ironically, the same stretch is now overrun by Indian tourists who throng its cafes and shops. A ropeway from the Mall takes tourists up to the second highest peak Gun Hill, where a gun used to be fired at noon to tell locals the time. After a series of accidents, the practice was abandoned in 1919, but the name stuck… Camel Back Road, named after a distinctive camel-shaped rocky outcrop, is a loop trail leading off The Mall with an old British cemetery, where several local luminaries have been laid to rest. Mussoorie was home to Sir George Everest, Surveyor General of India between 1830–43 and the man behind the Great Trigonometrical Survey of India. Tasked with measuring the world’s highest peaks, it was in his memory that Mount Everest was named. The ruins of Sir Everest’s whitewashed home stands at the edge of a cliff west of town beyond Hathipaon, whose three ridges resemble the foot of an elephant when seen from a vantage. Just 3km from Hathipaon overlooking Benog Wildlife Sanctuary, Cloud End is one of the four original houses in Mussoorie. As per legend, when Major Swetenham came hunting from Landour, he heard a Pahari woman singing in the forest. The officer fell in love with Gulabo and followed her home. Her father, a local landlord, presented the estate as dowry in 1838. The house was named Clouds End after a peak opposite Major Swetenham’s home in Edmontia in Wales. Home to four generations till 1965, it is now run as a heritage hotel and the restaurant is named Rose after Gulabo’s baptised name. I slowly trudged back to the Mall, bowled over by Landour’s wealth of stories. When famous American writer and traveler Lowell Thomas visited Mussoorie in 1926, he wrote about The Savoy: “There is a hotel in Mussoorie where they ring a bell just before dawn so that the pious may say their prayers and the impious get back to their beds.” Today, Landour depends on more conventional ways of telling the time, though the pace is still languorous and time does stop once in a while to pause and enjoy the view. Famous Austrian mountaineer, geographer and writer Heinrich Harrer, part of the four-member team that scaled the Swiss peak Eiger’s legendary ‘North Face’, is best known for his 1952 book Seven Years in Tibet (made into a movie). He was on an expedition to Nanga Parbat when World War II broke out and he was taken prisoner. Harrer was moved to the internment camp in Dehradun, where several failed attempts later, he and his associates finally broke out and escaped to Tibet via Landour. At its closest point, Tibet is just 70 miles away. In 1959, when the Chinese forcibly occupied Tibet, the Dalai Lama made the epic crossing from Lhasa to Landour. He and his band of followers walked for 15 days and reached Mussoorie on 20 April 1959. Happy Valley, a scenic corner beyond the polo ground, became the first Tibetan settlement in India, before the seat was shifted to Dharamsala. Landour is 37.5 km from Dehradun by road (1 hr 30 min) and 7km from Mussoorie. The nearest airport is Jolly Grant, Dehradun. Jet Airways, Indigo, Spice Jet & Air India fly from Delhi to Dehradun. Author: Anurag Mallick. This article appeared in the June-July 2017 issue of Discover India magazine. Isn’t it odd that the old British era cantonment of Landour, nearly a 1000 ft uphill of Mussoorie 6km away, is named after Llanddowror, a faraway village in southwest Wales? The story goes back to early 19th century when the Gurkha conquest of Kumaon-Garhwal led to the intervention of the British who moved from the plains of Dehradun to create a military sanatorium in the hills. Many houses in Landour echo themes from Sir Walter Scott’s novels, with names like Kenilworth, Ivanhoe, Waverly and Woodstock, now a famous school. The Scots identified the Himalayan hills and meadows with their glens (valleys), braes (slopes) and burns (streams) and named their houses Scottsburn, Wolfsburn and Redburn. Barring Kempty Falls 13 km away, there are no mountain streams here, so the nomenclature might have been purely sentimental. The Irish touch is also visible in homes called Shamrock Cottage, Tipperary and Killarney. Charleville Hotel however, was named after the owner’s sons Charley-Billy! The first permanent home in Landour was built in 1825 by Captain Young, the ‘discoverer’ of Mussoorie and Commandant of the first Gurkha battalion raised by the British after the Gurkha War. His house, Mullingar, was named after his county town in Ireland. By early 20th century Mullingar became a hotel and during World War II, it was leased by the army to house the overflow of convalescing soldiers from the sanatorium. In its early years, Mullingar received distinguished guests like author Emily Eden, sister of the Governor-General Lord George Eden. After spending considerable time in Landour, Shimla and Ooty in the late 1830s, Emily wrote incisively on the prevalent racism of Britons towards Indians. While Landour remained an exclusively British preserve, Indians were kept off limits at Mussoorie. Indian maharajas were encouraged to build grand summer homes here, many of which have been converted into heritage hotels. From Katesar to Kuchesar and Rajpipla, Alwar, Jind and Baroda, several princely states made Mussoorie their retreat. Hotel Padmini Nivas, set up by a British colonel in the 1840s, became home to a queen from Gujarat. The Nabha Palace is run as a hotel by The Claridges. The Maharaja of Kapurthala’s chateau occupies a lofty perch above The Savoy. However, one of the oldest buildings in Mussoorie is Kasmanda Palace. Built in 1836 by Captain Rennie Tailour, it was originally part of Christ Church and site of one of the first schools in Mussoorie. In 1915, it became the summer retreat of the royal family of Kasmanda (a taluq in Awadh) and the main building was converted into a boutique heritage hotel in 1992, currently run by WelcomHeritage. Built in 1840 by Captain GN Cauthy, Rokeby is one of Landour’s landmarks. Perched above St. Paul’s Church, its name is taken from the writings of Sir Walter Scott, whose book-length poem describes heroic battles near Rokeby Castle in England. The house changed hands from a British soldier to controversial adventurer Pahari Wilson to Rev Woodside, one of the founders of Woodstock School to the Methodist Episcopal Church. The British cemetery on Camel Back Road, a loop trail off The Mall named after the camel shaped rocky outcrop, is the resting place of key figures. John Lang, dubbed as the ‘first Australian novelist’ made Landour his home in the 1850-60s and his 1864 grave was rediscovered by Ruskin Bond. Giving him company is British adventurer Frederick ‘Pahari’ Wilson. Based in Harsil near Gangotri, Wilson married a local lady, illegally harvested timber by floating them down the Ganga, sold it to the East India Company to make railway sleepers, made a big fortune and even minted his own gold coins. He picked up properties like Rokeby and Ralston, introduced apples to the Himalayas and was the inspiration behind Rudyard Kipling’s tale, ‘The Man Who Would Be King’. Mussoorie was also home to Sir George Everest, Surveyor General of India between 1830-43. He is largely responsible for the Great Trigonometrical Survey of India covering a 2400 km stretch from South India to the Himalayas, including the measurement of the world’s highest peaks. Colonel Everest came to Mussoorie in 1832, bought an estate called The Park, making it his home and laboratory, where most of the mapping of the Garhwal mountains took place. Just 6 km west of town beyond Hathipaon (when seen from a vantage, its three ridges look like the foot of an elephant), his whitewashed home at the edge of a cliff is in ruins and barricaded but the view of the Doon Valley is stupendous. Just 3km from Hathipaon towards Benog Wildlife Sanctuary, is one of the first four finest houses in Mussoorie. Story goes, one day when Major Swetenham came hunting from Landour, he heard Gulabo, a Pahari woman singing in the forest. The charmed officer fell in love instantly and followed her home. Her father happened to be the landlord of Kandi village and after a match was arranged, the present estate was given as dowry in 1838. The house was named after a peak opposite his home in Edmontia in Wales. The 1.5km stretch of The Mall, once out of bound for natives, is bookended by the beautiful Library (Gandhi Chowk) on the western end and Picture Palace on the eastern edge. Besides being the first cinema hall to open in town in 1912, Picture Palace was also the first cinema hall in north India to run on electricity. The Mall was once lined by seven cinema halls – Rialto, Capital, Jubilee, Majestic. Austrian mountaineer, geographer and writer Heinrich Harrer was one of the four-member team which scaled the legendary ‘North Face’ of the Eiger peak in Switzerland. Best known for his 1952 book Seven Years in Tibet (later made into a movie), he was on an expedition to Nanga Parbat when World War II broke out. Because of his German ancestry, Harrer was interned in Karachi, brought to Bombay and kept in captivity at Dehradun for a few years. After several failed attempts, Harrer and his associates broke out of the internment camp in Dehradun impersonating British officers, and escaped to Tibet via Landour. At its closest point, Tibet is just 70 miles away. And the best place to catch a glimpse of the Himalayas is Lal Tibba or Depot Hill, once the convalescent depot that stretched around the highest point Childer’s Lodge. From here, one gets a striking 200km view of peaks like Swargarohini, Bandarpunch, Chaukhamba and Nanda Devi. If Harrer crossed the high Himalayan passes from Landour to Lhasa, the 14th Dalai Lama did the same from the other side. In 1959, when the Chinese occupied Tibet, the Dalai Lama and his followers walked for 15 days to cross over to India. He reached Mussoorie on 20 April 1959 and Happy Valley, a scenic corner beyond the polo ground, became the first Tibetan settlement in India, before the seat was shifted to Dharamsala. 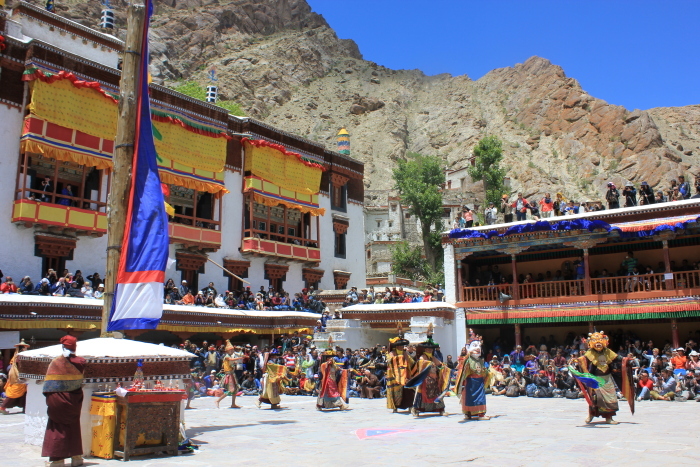 A Tibetan school was set up here in 1960 and the serene Shedup Choephelling monastery was built on a quiet hillside where prayer flags flutter in the breeze. The nurses working at the military sanatorium had their barracks near the market and frequented it quite often, hence its name Sister’s Bazaar. American missionaries came here in the 1830s and soon Landour became one of the first places in India where peanut butter, the American classic, was made commercially. Many settlers sold off their equipment and possessions and left Landour after India gained Independence. That’s how their peanut butter and food processing machines ended up in the hands of Anil Prakash’s family. During colonial times, Char Dukan was a cluster of four Indian-run shops on the parade ground. Contrary to its name, now there are six establishments but the first one is the standout joint. Locals and tourists flock to the 60-year-old Anil’s Café, legendary for its delicious Ginger Lemon Honey Tea, bun-omelette and Maggi. Sachin Tendulkar, who came on a holiday to Mussoorie, made a stopover here; his twitter endorsement hangs proudly on the wall. As we checked into the swanky Ravine Hotel, the staff reverentially ushered us into a room as if it were a shrine. “Sir, this is the room Salman Khan prefers to stay in when he comes to Panchgani”, he whispered. Not exactly diehard Sallu fans sporting Being Human t-shirts, we preferred the campy appeal of the cliffside tented cottage with a private open-air fireplace instead. Tucked away behind the main building, the camping section was formerly a quarry and offered unexpected seclusion. Landscaped around a waterfall, a fish pool with silken koi gliding in its depths and a sandy beach around a salt-water body were a few scattered tents. A little stroll took us to the edge where the hill plummeted into a wide ravine, dense with foliage. Like the pioneering duo John Chesson and Rustomji Dubash, who came to this region in mid 19th century, we stood there and regarded the scenic Dhom Valley below. 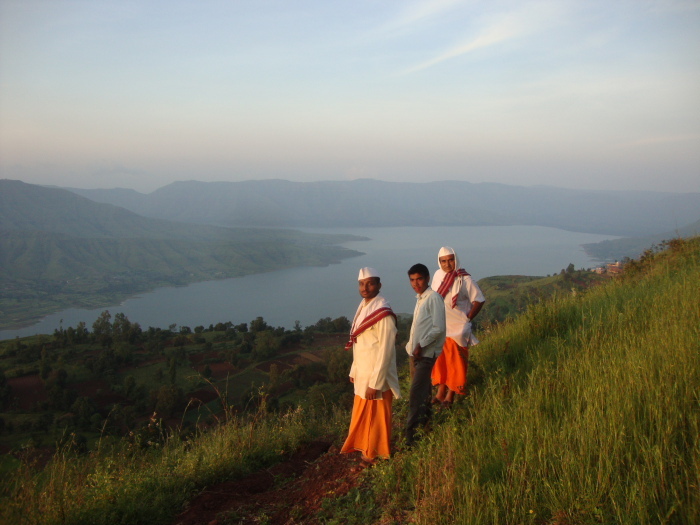 Like most hill stations in India, Panchgani too, is an outcome of British intent to escape warmer climes. While nearby Mahabaleshwar was their first choice, they were forced to find an alternative to get away from the torrential downpour during the monsoons. Warrant Officer Wilson was the first Englishman to come here in 1850 to carry out a meteorological survey and recommended Panchgani as a suitable place for a military sanatorium. However, it was on a survey of the Sahyadris or Western Ghats that Chesson and Dubash recognized the potential of this nameless empty tract and its year-round appeal. The place came to be known as Panchgani, because of its five (panch) adjoining villages – Dhandegar, Godavli, Amral, Khingar and Taighat. Some claim ‘gani’ means ‘hill’ or is derived from ‘gaon’ (village). Yet others suggest in this region of high seismic activity, it could be a corruption of ‘agni’, the volcanic fire that created the magnificent rock formations 63-66 million years ago. Thrust up from tectonic pressure of the earth’s plates, the high tablelands form part of the Deccan Traps, one of the largest volcanic flood basalt provinces on earth. Superintendent Chesson took charge of the hill station in 1863 and transformed its landscape and demography. Improbable as it may sound, back then this was a treeless zone. Chesson’s greening endeavor covered the hills with groves of silver oak, fiery poinsettia and other plants of the western world. He also helped populate the place with local labour to enable ease of living for the British. Tailors, butchers, washermen, vendors, building contractors; he encouraged all to settle here, reserving a gaothan (village site) below the bazaar. Panchgani’s healthy climate prompted a Bombay doctor Rustomji Bomanji Billimoria to establish a tuberculosis sanatorium in 1912! The century old institution is still in existence as Bel Air Hospital at Dalkeith, managed by the Indian Red Cross Society. Blending the charm of colonial bungalows, old churches and elite residential schools with strawberry farms, fruit orchards, hiking trails, viewpoints and adventure; Panchgani is an ideal short break. We trudged up to Sydney Point, a small hillock near the hotel, taking a tricky shortcut to catch the sunset. A pony nibbled away in a wayside meadow. Beyond the railing at the top we caught sight of the sweeping Krishna Valley where the river curved around the hill to fill the reservoir of Dhom Dam at Wai. The site was named in honour of Sir Sydney Beckwith, former Commander in Chief of the Bombay Army in 1829. We rounded off the day with a delicious dinner by the fireside, under a blanket of stars. The following morning we drove around town to discover institutions like St Joseph’s Convent School and Kimmins High School, established in the 1890s. Initially they catered only to European children with privileges extended to Indian royalty. Later, schools were established for specific communities but after Independence, they became more inclusive. The European Boys School became St Peter’s Boys School with late rockstar and Queen frontman Freddie Mercury (then Farrokh Balsara), among its famous alumni! Parsi High School became Billimoria High School, Hindu High School changed to Sanjeevan Vidyalaya, Muslim High School became Anjuman-i-Islam High School while Baha’i School became the New Era High School. The film Taare Zameen Par was shot here and boosted Panchgani’s image as an educational hub of international standard. Beyond a tree-lined driveway, the brick red wall of St Peter’s Church lured us for a quick peek. There was no one around and we walked around its arched corridor. A nudge to the door and we were in the quiet hall. Chesson’s final resting place is a grassy patch in the church’s cemetery. His death centenary in 1971 witnessed an exceptional gathering of townsfolk to honour their founder. A quick breakfast of cream rolls and buns from Roach, one of the oldest family-run bakeries and a cup of chai at a local café fired us up. The weekly Budh Bazaar (Wednesday Market) was on, where locals sold organic produce, leather goods, provisions, utensils and other wares. Farm fresh vegetables and fruits brightened up the stalls as vendors tempted us with boxes of glossy red strawberries. The old Beatles ode to innocence, Strawberry Fields Forever could very well be a theme song for this lovely town. During the annual Strawberry Festival, tourists can pick and eat berries to their heart’s content. After generous scoops of fresh strawberries in ice cream at the Mapro Garden café, we slipped the bottled goodness of squashes, jams and preserves – mulberries, strawberries, raspberries and gooseberries into our bags before taking an excursion to Mahabaleshwar. En route we halted for a bite of delicious wood-fired pizzas and sandwiches at Mapro’s Food Court. At Mahabaleshwar, the colonnaded ancient Mahadev or Panchganga Mandir teemed with people. At the edge of the tank, a relentless stream emerged from a cow-shaped stone spout that watered the valleys on its onward journey as the mighty river Krishna. The site is also the source of four other rivers – Koyna, Venna, Savitri and Gayatri. Most tourists flock to Venna Lake for boating while grabbing juicy steamed corn from the stalls. But we chose a hardier option – a trek to Arthur’s Seat. This picturesque highpoint encompassing gigantic masses of stratified rocks is dedicated to Sir Arthur Malet, who often sat here brooding over the death of his wife and child in a ferry accident along the Savitri river. The route had several scenic lookouts. At Monkey Point the three natural rock formations hailed as Gandhiji’s famous apes that spoke no evil, saw no evil or heard no evil, sat motionless amidst a landscape of craggy mountain folds. At Tiger Springs, a favourite watering hole of big cats in the past, tourists collected spring water in bottles. Kate’s Point, overlooking Savitri Point and Castle Rock, is also known as ‘Echo Point’. Some hooted, shrieked names or made movie-style proclamations of love thrilled that the mountains bounced them back manifold. Hunting Point served as the hunting grounds for British officers. We drove to New Mahabaleshwar to reach Needle-hole Point, named after an intriguing rock formation. Near a precipitous escarpment we sat on a grassy meadow, gazing at the uninterrupted stretch of the Deccan Traps, wrinkled and furrowed like an elephant’s trunk. Sindola Hill, rechristened as Wilson Point after Sir Leslie Wilson, former Governor of Bombay, is Mahabaleshwar’s highest point. At 4710 ft, it presented panoramic views all around. The trekking trails were well marked with signboards noting historical highlights. By evening, we were back in Panchgani atop Parsi Point. In its heyday, it was the chosen picnic spot for the elite. We zipped to Tableland, the town’s most popular hangout. Being the second largest volcanic plateau in Asia and the highest after the Tibetan plateau, it spans a 4.5 km stretch that has turned into a hub of activity. Like a chameleon, Tableland transforms into a cricket ground for youngsters, walking track for citizens, a magnificent lookout, filming locale, trekking terrain and a playground for horse-rides, mela-like stalls and eateries! Yawning caverns and caves like Devil’s Kitchen on the southern side of Tableland held mythological links, claiming to be the site where the Pandavas camped during the days of the Mahabharata. A few indentations in the ground marked by a rock circle were tagged ‘Pandava’s footprints’ and the Pandavgad caves in nearby Wai lent credence to this legend. Time flew by and we were soon enveloped in darkness under a canopy of stars. A horse nickered restlessly from afar. We steered towards the Ravine where dinner simmered at the Melting Pot. Getting there: Panchgani is 285km from Mumbai and 100km from Pune via NH-4. Local attractions nearby include Mahabaleshwar (18 km) and Wai (10 km). Tours: Guides offer sightseeing packages covering Old & New Mahabaleshwar, Panchgani and Wilson Point, charging Rs.450 for 2½ hours per tour. Authors: Anurag Mallick & Priya Ganapathy. This article appeared on 19 July 2015 in Sunday Herald, the weekend supplement of Deccan Herald newspaper.